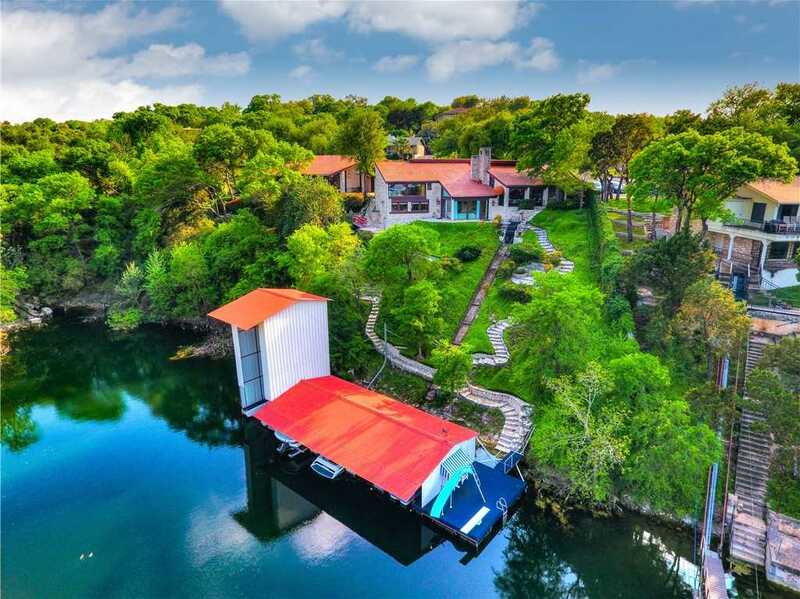 Private rare waterfront estate on an acre in Lakeway! This captivating property is ideally located in a deep water cove that provides amazing views. The main house offers an opulent master suite and awe-inspiring lower level with an executive office and game room. 5 additional detached private suites provide luxurious accommodations for your guests. Perfect for entertaining your family, guests, vacation rentals, or corporate retreats! Bonus…huge boat/party dock can house up to 4 boats, plus your catam.. Please, send me more information on this property: MLS# 3814668 – $1,915,000 – 808 Bermuda, Lakeway, TX 78734. I would like to schedule a private showing for this property: MLS# 3814668 – $1,915,000 – 808 Bermuda, Lakeway, TX 78734.